Do you often find yourself in dire need to compare two tables in Excel or Power BI for audit or testing purposes? 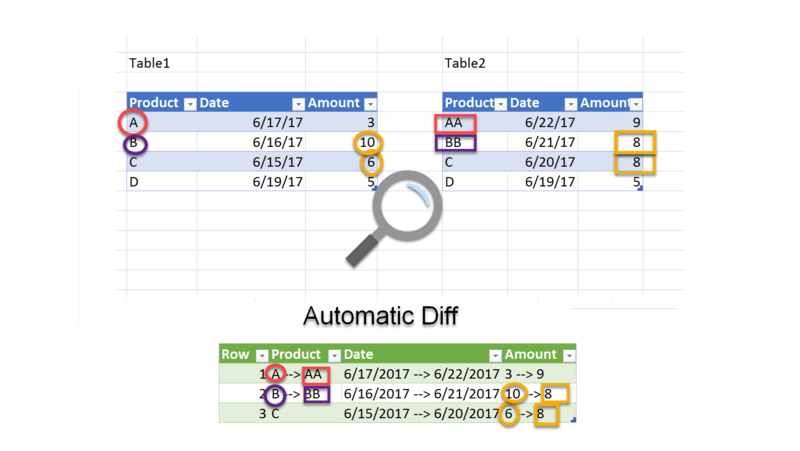 With this easy-to-use automation tool that take advantage of Power Query in Excel or Power BI you can load two revisions of any tables, click Refresh, and immediately find the differences between the tables. The Excel version highlights the differences between Table1 and Table2 in the third table, as shown in this screenshot. If you have extra rows in one of the tables, you can find them as well. This solution contains a new method to compare between tables with matching keys (when the same record/row can be in different locations in the two tables). Excel 2010 or 2013 with latest Power Query installed, or Excel 2016, or latest Power BI Desktop. Open the Excel workbook, and click Refresh All in Data tab to apply the comparison between tables. 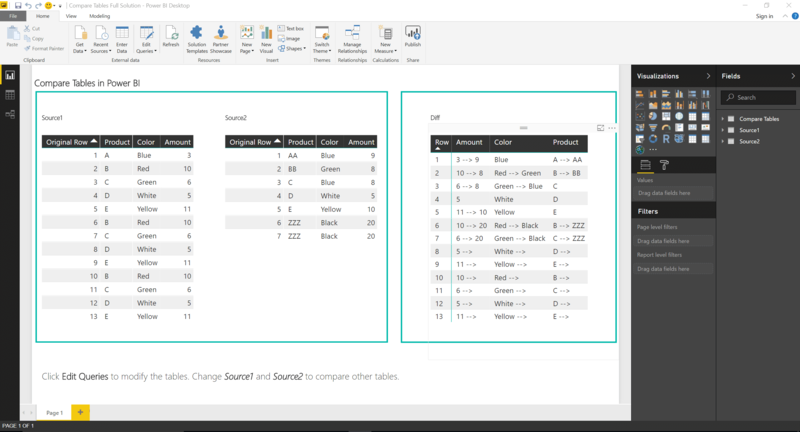 Unzip the Power BI Report, and click Refresh to apply the comparison between tables. Open Query Editor to rewire the queries to your own tables. Not sure how? Follow this tutorial first. Learn how to use FnCompareTables in CompareTables 2.xlsx. Read more here.